For the Tumbuka people of Malawi, traditional medical practices are saturated with music. In this groundbreaking ethnography, Steven M. Friedson explores a health care system populated by dancing prophets, singing patients, and drummed spirits. Tumbuka healers diagnose diseases by enacting divination trances in which they "see" the causes of past events and their consequences for patients. Music is the structural nexus where healer, patient, and spirit meet—it is the energizing heat that fuels the trance, transforming both the bodily and social functioning of the individual. Friedson shows how the sound of the ng’oma drum, the clapping of the choir, call-and-response singing, and the jangle of tin belts and iron anklets do not simply accompany other more important ritual activities—they are the very substance of a sacred clinical reality. 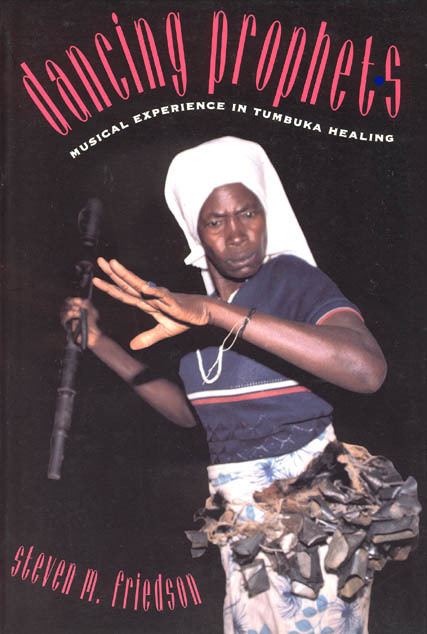 This novel look at the relation between music and mental and biological health will interest medical anthropologists, Africanists, and religious scholars as well as ethnomusicologists.